The best part of Ant Man is Luis. lol. I think you two are secretly in love with each other. #111968 Ravens Interested in Kaepernick? #110791 Any The Walking Dead Fans? 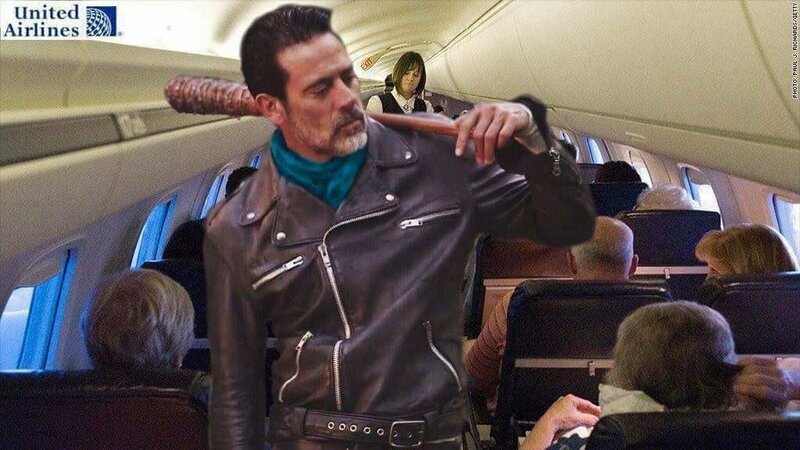 What about Negan as a flight attendant? Would you watch that? lol. CBS misses kick-offs and first downs all the time. Have been doing that for years. Yeah, sorry. Here's a rabbit. #104078 Is It Really This Bad? Just posted bail. Gotta say, if you haven't ridden on top of a moving tractor-trailer, I highly recommend it! Now You See Me, Zombiland, The Social Network are all things I have loved him in. I first saw him in The Social Network. Then, when I saw him in Now You See Me, and even this new trailer, I'm not sure he was acting so much, as it is all the same presentation and delivery. He's like a male Kristen Stewart. He is not Lex Luthor. This trailer proves it. Trailer is good, but it's the whole movie in 3 minutes. Typical Hollywood. Yeah he is Lex. That was known for about a yr now. At some point he does go bald in it. I believe Grubber is talking about the presence, aura, and spectacle that is Lex Luthor; not that he has hair. And I agree. Jesse Eisenberg doesn't portray any of those qualities. He has no gravitas. Gene Hackman had it. As much as I hated the way he played it, Kevin Spacey had it. Jesse Eisenberg does not. Hell, even Michael Rosenbaum had some of it. Time flies when you're having fun! Hope it's a good one. Haha. No, DC, who is now a poppa two times over. We're old, Spen. We're old.